I've been so busy the last couple of weeks that I haven't been able to get any reviews done. With any luck I will finish this one today and be able to pump out a few more in the coming days. Enough of the housekeeping tonight's beer is a Belgian/American collaboration, which is simply sensational! When the forefront of American craft ingenuity (Green Flash) met one of the master Abbey brewers of Belgium (St. Feuillien) the result was never going to be boring. 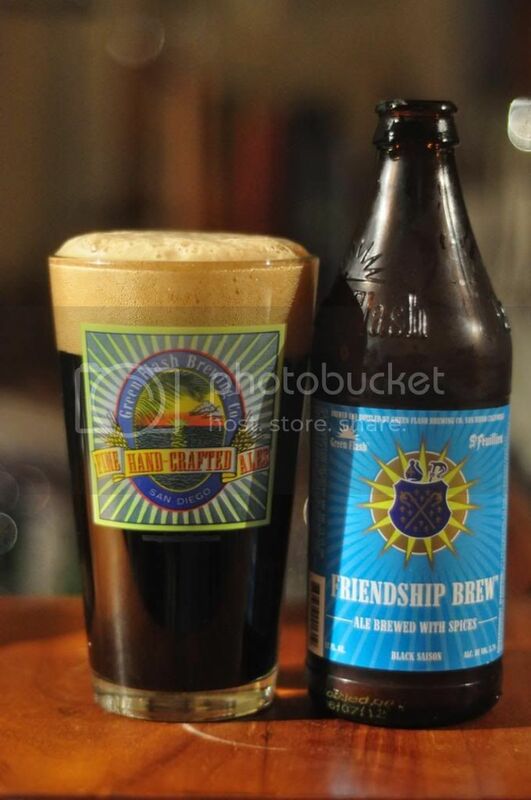 The 2nd collaboration beer between these great breweries was like the breweries themselves, a mix between old and new. It's a Black Saison, a modern take on one of the most traditional beer styles. When hearing of this beer I was interested to see what these two great breweries would come up with. The pour is as dark as any stout or porter you are likely to come across. The head was rather aerated with heaps of large bubbles in the tan coloured head. It had excellent longevity as well with plenty of tiny bubbles rising up the sides of the glass to the head. The only downside was that the lacing was a little disappointing. The nose is massively floral. It's a dominant smell that at first seems to hide any other elements but as the beer warms more flavours become apparent. There's not a huge amount in the way of dark malts, which seems odd to me considering it's a Black Saison. The nose has a warming alcohol smell that accompanies a spicy finish to the nose. Green Flash and St. Feuillien's Friendship Brew has a very different taste to what the nose suggested. It has a very strong taste of roasted malts, that mix brilliantly with the floral flavour that was so prevalent on the nose. There are some spices that give it the feel almost of a Christmas beer. There's close to no bitterness and the mouthfeel is slightly thinner than expected. It's so well balanced! 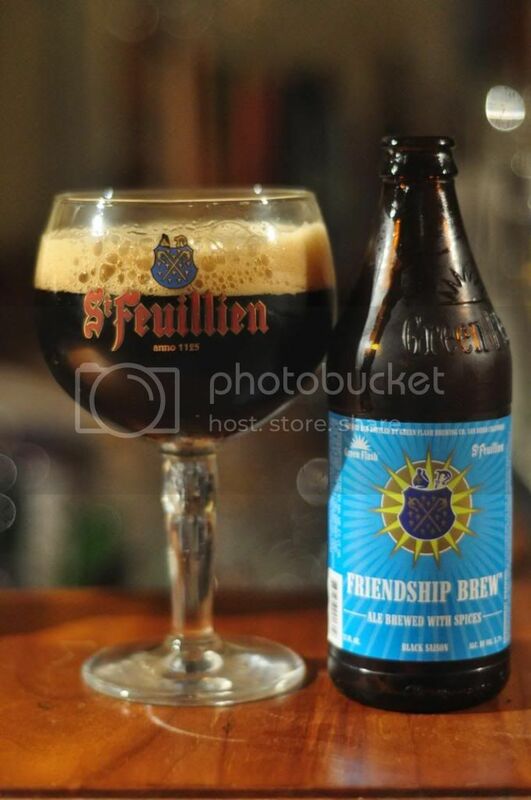 Overall I thought the Friendship Brew was more indicative of a Green Flash beer than a St. Feuillien beer. That is not a bad thing by any stretch of the imagination, I just thought the floral and spicy notes were very similar to those found in a Rayon Vert. Typically I'm not a massive Saison fan but I really enjoyed this one. I would recommend this beer to anyone it's so beautifully balanced!